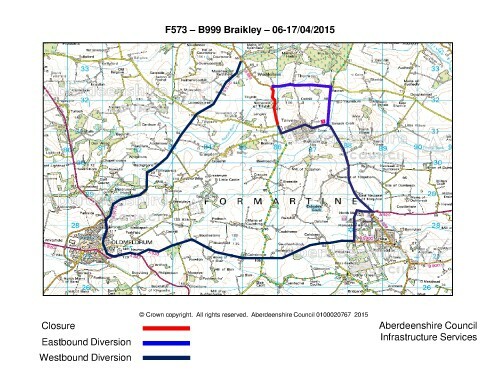 Please note that due to Patching Works to be carried out by Aberdeenshire Council it will be necessary in the interests of public safety to apply the following restriction to traffic. Access will be provided for emergency, school transport vehicles and vehicles requiring access to properties but may be subject to delay until the road is cleared of construction plant to allow safe passage through the works. Diversion via C42C, C41C and vice versa.